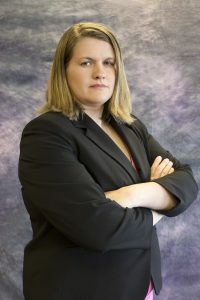 Mihaela (Miha) Britt has over fourteen years of experience working with international students, scholars, universities, and businesses to resolve immigration issues. An immigrant herself, Miha has helped numerous clients with a wide range of issues to successfully navigate our complex immigration system. Miha received an MBA in 2001 and a JD in 2013 both from the University of Missouri, Columbia (Mizzou). 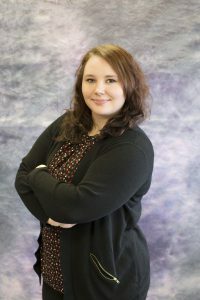 Miha began working in the International Center at Mizzou in 2004 as a SEVIS Compliance Coordinator, then went onto being an Assistant Director in the scholar and employment area. She obtained her law degree from Mizzou while working full-time in the International Center and obtained her license to practice in Missouri in 2013, practicing in immigration law ever since. She is admitted to practice in the Western District of Missouri. Miha is currently representing a wide variety of clients from both state and private universities to large and small corporations to individual clients. Miha is a member of American Immigration Lawyers Association (AILA), NAFSA: Association of International Educators, NACUA: National Association of College and University Attorneys, and the Federal Bar Association. She is a frequent trainer and presenter at both regional and national conferences. Elizabeth King, Office Assistant, is the newest member of the Britt Immigration Law, LLC team. She is currently studying at Columbia College to receive her BA in Human Services and is passionate about helping people. She loves working with people from all over the world and likes being able to put her Type A personality to good use. I contacted Britt Immigration Law after unsuccessfully applying for a TN Visa on my own. I was impressed by their calm, knowledgeable and steady approach. They gave me the advice I needed for a successful application. I was glad to have them as my team during a stressful situation, and my only regret is that I didn’t work with them the first time. We had such a wonderful experience working with Britt Immigration Law on my husband’s Adjustment of Status! In what was a nerve-racking, worrisome time for us, Miha, with Elizabeth’s help, handled our case in the most calming, organized, efficient, and timely way possible. They were so incredibly easy to work with and responded to our questions quickly and concisely. We could not have asked for a better team to handle our case in a climate that is ever-changing, we are forever indebted to them and feel incredibly blessed to have found Britt Immigration Law!